Exercise equipment from Gym Pros is about more than cardio and strength machines. We pride ourselves on our high levels of customer service and satisfaction. So, whether you’re an individual looking for home equipment, or industry professional in need of a complete gym range, you’ll receive the same level of attention and support. Our knowledgeable team has over 80 years of combined fitness experience. They know gym equipment inside out and can provide unbiased advice on the best machines for your particular needs. Our extensive range of remanufactured exercise equipment means you can get top quality products at a competitive price. 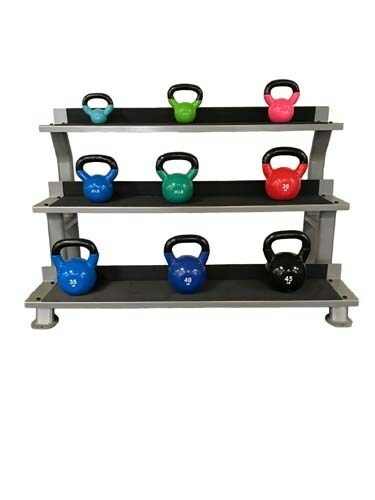 We stock a wide variety of strength equipment, from circuit machines to benches, and plate loaded equipment to free weights. If you need cardio, then we have treadmills, ellipticals, climbers, and exercise bikes to meet your business requirements and budget. Scroll down to learn more about the different categories of exercise equipment we have available. We offer a wide range of strength exercise equipment that’s suitable for home gym use or a commercial facility. Whether you’re looking for free weights, circuit machines, or functional trainers, we have options to suit your needs. Our extensive warehousing stock means you can often receive your equipment within a week of ordering. This allows you to get the most out of your investment from day one, instead of waiting for weeks (or even months) for units that are manufactured to order. Durability and biomechanics are key elements of great strength equipment. Whether it’s a free weight or jungle gym, it’ll need to withstand the demands of rough usage on a daily basis. Choosing equipment that’s designed for optimal alignment means you (or your members) will get the most out of every workout and see results in a shorter amount of time. At Gym Pros, our team truly understands fitness. So, if you have a question about the right exercise equipment for your needs then they’ll be happy to provide unbiased advice. 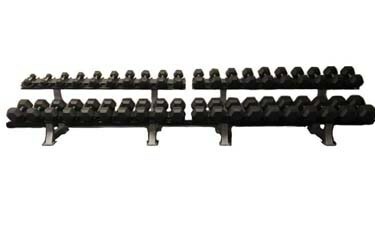 Free weights are highly popular thanks to their ease-of-use, portability, and versatile training applications. Weight sets are a staple of both home gyms and health clubs since every fitness enthusiast has at least a few dumbbell exercises in their training repertoire. 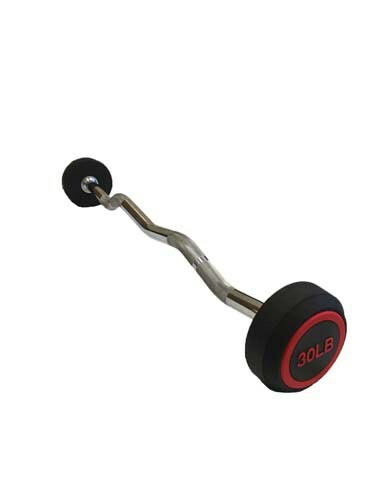 Rubber or urethane are the preferred materials for dumbbells and we stock both types in our range. Barbells are also available in fitness clubs universally and make an ideal starting point for progression into heavier lifting. Kettle bells have exploded in popularity since their initial introduction, with entire group exercise classes now dedicated to their usage. They’re the perfect functional training tool and a favorite with personal trainers across the country. Correct form is essential with kettle bells, since the dynamic movements coupled with improper use can increase the risk of injury. However, with adequate knowledge, they’re an effective strength training tool that can also be used for HIIT workouts. Exercise equipment for circuit training is usually more compact than traditional strength machines. It tends to have a smaller footprint and lower shroud height, which makes it space-efficient and less imposing. When arranged in a sequence, it delivers a total body workout that targets every major muscle group. This helps gym users to avoid muscular imbalances since everything is trained equally. It also reduces the temptation for people to ‘skip’ machines and take exercise shortcuts. Circuit machines are ideal for express group exercise classes that last around 30 minutes. They encourage new people to try strength training and provide introductory guidance on correct usage. Classes can also be more fun and add a social element to your gym floor. Training as a group often motivates people to try harder, enabling them to achieve even better results. 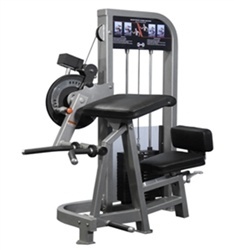 We offer an extensive range and supply purpose-designed circuit training machines by Calgym, Muscle D Fitness, Pro Club Line, Series II, and TuffStuff. 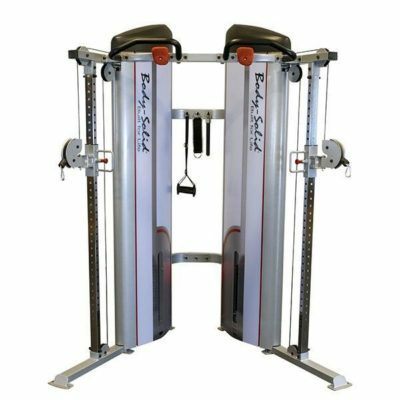 Functional trainers are a highly versatile type of exercise equipment. 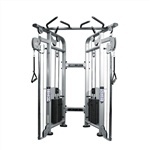 They facilitate a wide range of movements and workout types, on just a single machine. Many include adjustment options such as pulley height or handle accessories, which further multiple the exercise potential. For this reason, functional trainers are an essential piece of equipment for home gyms, facilities that don’t have a lot of space, of those that offer personal training. Most functional trainers are designed around cable-based exercises. This means they can be used to perform rows, flyes, crossovers, pulldowns, or pretty much any movement you’d otherwise do with a free weight. They’re also perfect for sports-specific training. Attaching ankle straps allowing the user to mimic kicking or explosive movements in order to build power and speed. Bar attachments can be used for training related to sports like baseball, softball, or tennis. This makes functional trainers particularly useful in athletic facilities or university premises. In addition to the categories listed here, we also supply multi gyms, plate loaded equipment, and specialist strength flooring. Click on the links to learn more about these product ranges. Cardio equipment is continually evolving in line with the latest technology. Whether it’s the addition of touch screens, internet connectivity, or personalized workout programs, the newest machines have a range of handy features. Whether you’re after the best treadmills, ever-popular ellipticals, or the low-impact AMT, we’re guaranteed to have what you need. 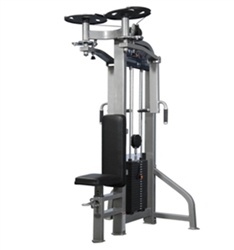 As with strength machines, durability is crucial in cardio exercise equipment. They tend to be more complicated units with a greater number of moving parts, so it’s vital that they’re engineered to the highest quality. Durable cardio will last over the long term with minimal need for replacement parts or servicing. Most people also like their cardio to include some kind of entertainment too. Since it’s used for long periods of time, having built-in media options ensures that boredom doesn’t creep in, allowing people to work out for longer. Internet browsing, apps like Netflix and ESPN, and virtual reality courses are all options on the latest cardio equipment. But rest assured, the old favorites like TV and heart rate telemetry are still included too. Browse our range of cardio equipment or read more about our product ranges below. Treadmills are the most popular piece of cardio equipment in the world. They torch calories, improve aerobic capacity, and are super-simple to use. They allow runners to train in all weather conditions, from the comfort of an indoor space. Best of all, there’s one to suit every price point no matter what your budget is. 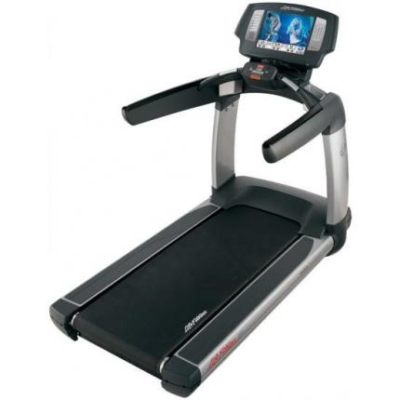 Choosing the right treadmill for your needs involves several factors. Reliability, price, and features are usually top of the list. Most treadmills feature adjustable speed and incline, with decline offered as an additional option on higher-tier models. The majority have built-in workout programs to aid goal achievement, such as intervals, hill climbs, and fat-burning. But there are aesthetic elements and additional features that can set some apart too. Integrated fans provide personalized cooling during a tough workout. Accent colors, brandable screens, and overall design can all add to the overall look and dictate whether a unit is well-suited to your space. 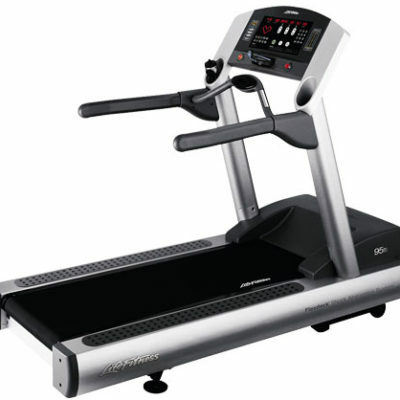 Ultimately, it’s best to choose a treadmill that ticks all of your boxes in terms of durability, features, and price. 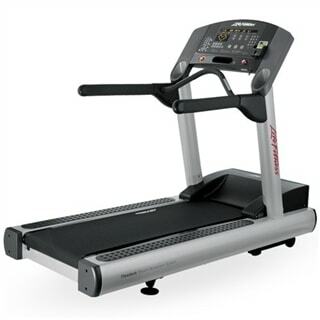 Life Fitness 95t Commercial Engage Treadmill. Call Now For Lowest Pricing Guaranteed! Ellipticals have come a long way since they were first launched 20 years ago. They mimic the natural movement of the lower body during running yet are lower impact on the joints. This makes them the ideal exercise equipment for people with injuries or those who are new to fitness. For people with ankle, knee, back, or neck issues, the elliptical allows them to get an aerobic workout that’s beneficial for their overall health. 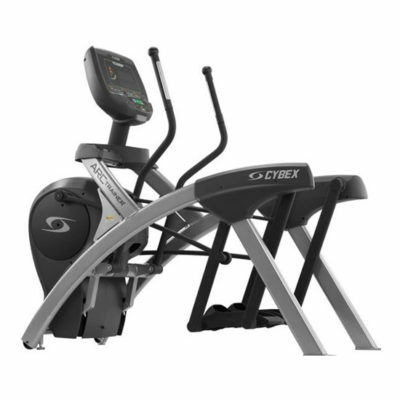 Precor invented the original elliptical cross-trainer back in 1995 and since then it’s been adapted by companies like Life Fitness, Technogym, and Matrix. The combination of moving arms and foot pedals allows for a total body workout, with a low level of perceived exertion. This means that people feel less tired, so they can work out for longer! Ellipticals are also versatile pieces of exercise equipment. Stride speed, resistance, and even depth can be adjusted in some models, which facilitates a wide range of different movements. These allow several muscle groups in the lower body to be activated based on different stride motions. When combined with moving or fixed arms, this can activate the upper body or core muscles too, for a truly effective total body workout. Stair climbers are the original functional unit. They mimic the everyday activity of climbing steps, developing both strength and balance. 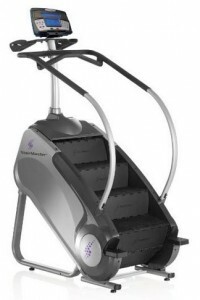 StairMaster is probably the most famous option, with a unique revolving mechanism that tests coordination and speed. 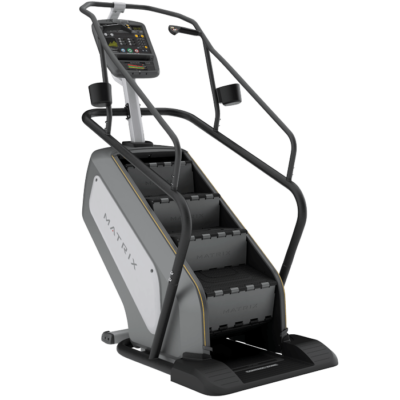 We stock a range of StairMaster exercise machines and Stepmills in a variety of color options. We also offer classic-style climbers with foot pedals rather than steps. These provide an easier starting level and require less balance. This makes them an ideal introductory unit for people who are new to exercise. Once they’ve developed the required coordination, technique, and muscular fitness, they can progress to a more challenging machine – or just up their intensity! Exercise bikes provide effective cardio workouts that are non-load-bearing on joints. They come in either upright or recumbent positions, both of which require a similar pedaling movement. 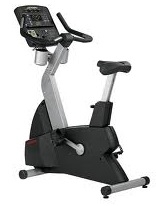 Upright bikes feel more like a traditional bicycle since the body is positioned over the knees and ankles. Recumbent bikes offer a more laid-back alternative, with a reclining seated position that some people prefer. Bikes are a staple of the cardio floor and continue to maintain their popularity. As participation in road cycling and triathlons increases, many people look to supplement their training on an indoor stationary bike. They develop aerobic capacity, strengthen the lower body, and are enjoyable to use too. Biomechanics play a particularly important role with upright exercise bikes. Correct alignment of the joints is required to minimize any risk of injury, therefore, most manufacturers adopt a ‘knee over pedal spindle’ (KOPS) design. This ensures that the forces are adequately distributed and don’t strain one particular area. 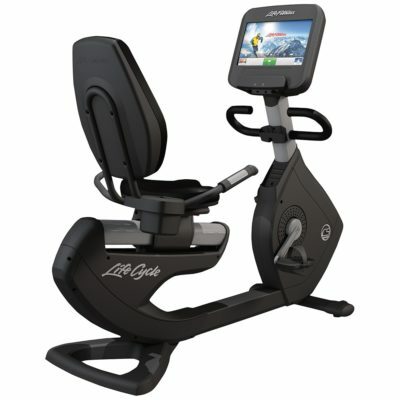 Life Fitness Elevation Discover SE Remanufactured Recumbent Bike. Call Now For Lowest Price Guaranteed! If the sheer range of exercise equipment has you daunted, then our professional team will be happy to help. They can advise you on the best ratio of cardio to strength equipment, so you get the right amount for your space and budget. They can also guide you on the ideal mix of equipment within each category, based on the specific demographics of your members. If you’re an individual, then they’ll be able to suggest the best unit for your home setup and training goals. To get in touch or visit our warehouse, use the contact form or call 888-502-2348. We’ll be happy to answer any questions you may have and walk you through the different fitness equipment options available.